There was a change on Google's end and some of our license checking features broke (for more info about this bug: https://www.androidpolice.com/2018/07/03/google-play-store-app-licensing-bug-putting-developers-horrible-spot/). 1. Check if you have access to DigiCal+. To test if your DigiCal+ license is still active, open DigiCal and check if you still have access to the DigiCal+ only features. For example, try to add the text month or month calendar widget to your home screen. Here's an overview of all the DigiCal+ features we offer. 2. Make sure you have BOTH DigiCal and DigiCal+ installed on your Android device. The most common cause why DigiCal+ features are not activated is because DigiCal+ is uninstalled. DigiCal+ is a license verification tool that we use to unlock the premium features already built into DigiCal. 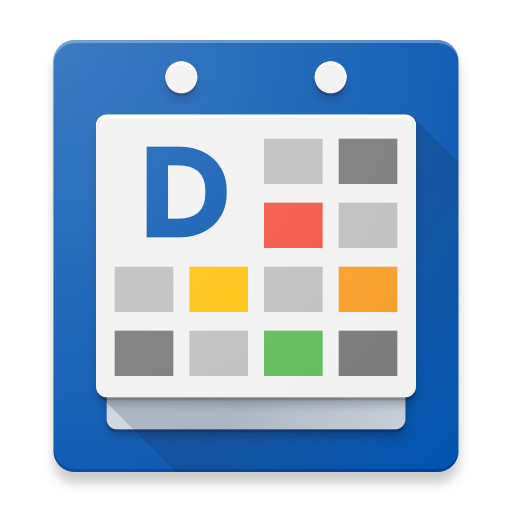 After you have installed DigiCal+ on your device, you will only need to start up DigiCal, since this is the main calendar application from where you will manage your calendar events. Make sure you have installed both DigiCal (free version) and DigiCal+ (paid version) on your device under the Google account you used to make the purchase. Sometimes an error can occur when downloading DigiCal on Google Play Store, just remove the app and download it again from Google Play Store. Here's a help page explaining how to solve a download error. The license verification can also fail if you've disabled background data for the Google Play / Google Play Services, or if the data connection is too bad. The default license verification has a very liberal retry and grace timer, but it can still fail sometimes. If this happens, connect to a strong Wi-Fi network and restart DigiCal by closing and launching again. 6. Check if your DigiCal+ purchase is still active. We noticed that some users bought DigiCal+ using a different Google Play Store account and when they set up a new Google account, they find out that they have to pay again for DigiCal+. Please note that all your app purchases are linked to one specific Google account. If you are not sure with which account you bought DigiCal+, you can look it up on your invoice from Google Play Store. *Please be aware that uninstalling DigiCal will clear your preferences, widget settings, and any color changes you've made to your calendars or individual events via the DigiCal app. Please also make a backup of any local calendars you have. 2. Log in with your Google account that is active on your Android device. 4. Check if DigiCal is successfully installed on your device. 8. Still not working? Don't worry! Contact our support desk for further assistance. If you still cannot get access to the DigiCal+ features, please contact our support desk (digical@digibites.nl) and provide us your order number that's stated on your Google Play Store invoice. Here's a help page explaining where to find your order number. Don't worry, we will help you get DigiCal+ on your device or we will refund your purchase. How come I don't have a 6-digit license code? Why did I get a download error from the Google Play Store?